According to Tania Ganguli, Jaguars beat reporter for the Florida Times-Union, Jacksonville has written the first page in its new chapter by hiring the Atlanta Falcons offensive coordinator Mike Mularkey. The Jaguars went through a rough season of growing pains, as Blaine Gabbert didn&apos;t live up to his No. 10 overall pick expectations, and nine-year head coach Jack Del Rio was fired after starting 3-8. Team owner Wayne Weaver also sold the Jags to Illinois businessman Shahid Khan for between $750 and $800 million. Mel Tucker took the interim position after the Del Rio exit but only managed a 2-3 record. The move might actually make some Falcons fans happy after Atlanta once again failed to advance deep into the playoffs and scored a pathetic two points in this year&apos;s embarrassment against the New York Giants. 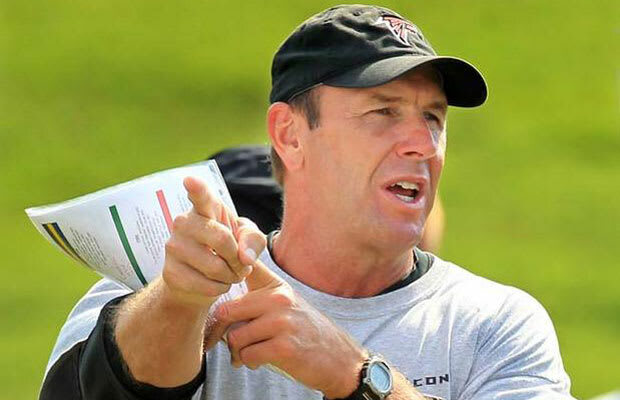 Mularkey was 14-18 as the head coach of the Buffalo Bills before getting fired in 2005. He has been Atlanta&apos;s offensive coordinator since 2008.